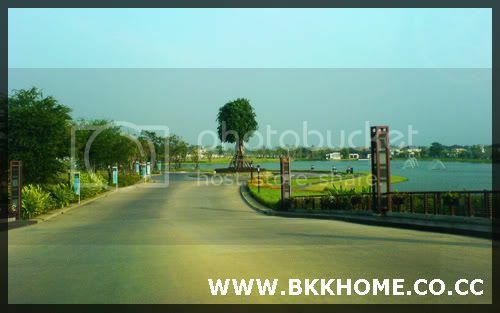 If you interested in finding new home in eastern zone, this is the most recommended village that you should visit. Chonlada Suwannapoom is developed by Land & Houses who is the top residential developer of Thailand. The project in located in Soi Ladkrabang 54 which connecting Ladkrabang and Bangna Trad road. The project is located close to airport rail link which will bring to downtown easily. After you pass the village gate, you will see the panoramic view of unforgettable lake which cast many visitors to buy a new house with them. 50%. This is top performer of Land & Houses' project. Most of buyers are person who work in the new airport such pilot, flight attendant or ground officer which they work in shift, so the village is very peaceful. When I visited the project, I found some expat live in here. There are many designs. It starts with the smallest with price around 3.5 million Banht. The usage are 118 - 124 sqm. This type is suitable for a new couple. 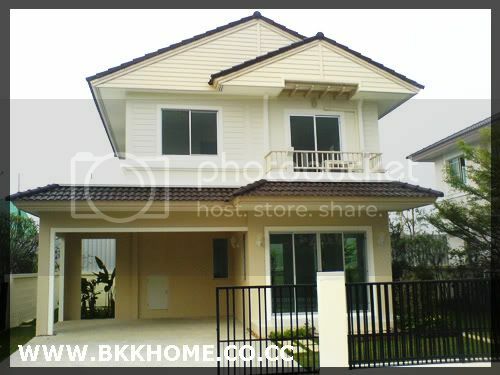 The bigger one is 160 sqm with 4 million Baht. The houses are laid in north-south. The material is OK. The unique selling poing is the resort ambient with panorama view. Weekend trip starts at your home. The project facility is excellent with large scale green area, high-end design club house, basketball court and also tennis. 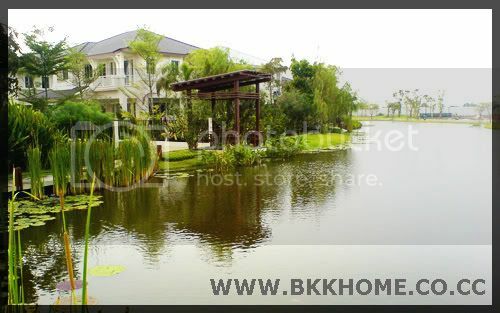 If you interseted to buy 3.5 million Baht house, this facility is mostly found in the high-end village. Need to see. The trasportation is convenient. Can use motorway or Onnuch road to downtown. In the future, there will be a new road link to airport near village entrance. What I like most are resort atmosphere, lake and green space. What I dislike most is transportation is limited if you don't have personal vehicle. In short, it is must see project.